Drop by the gallery and join us as we preview our November show, TRANSFORM. The events will feature new works highlighting aspects of the global orphan crisis and how we as a public can be a part of the transformation. Be educated; be inspired; be challenged to make a difference. 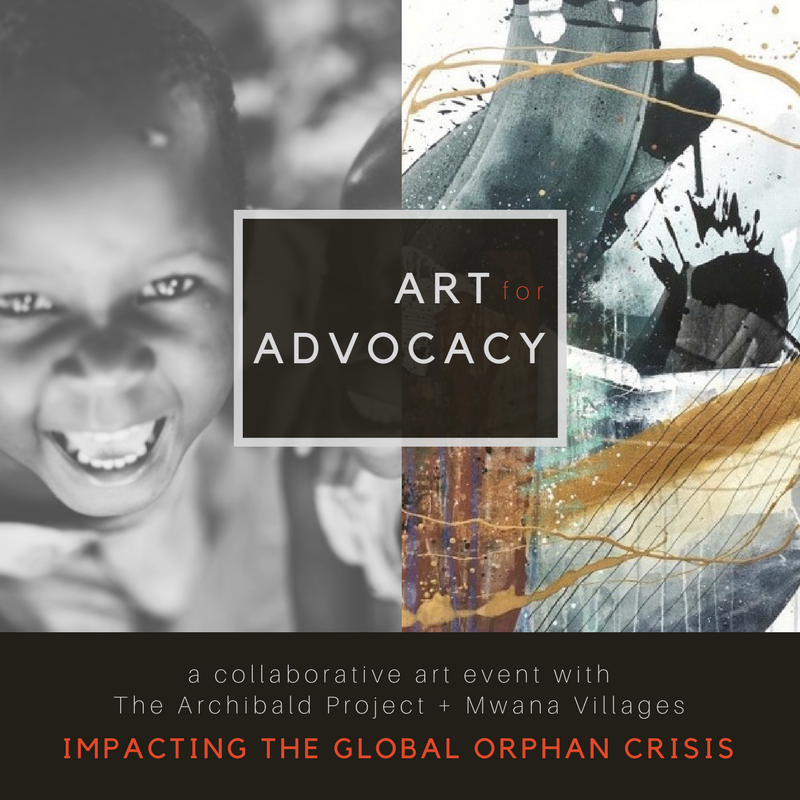 Events are open to the public, and all sales and donations will benefit The Archibald Project and Mwana Villages, two organizations making a difference in the lives of the vulnerable around the world.